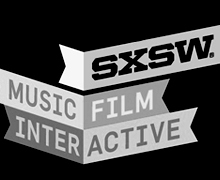 SXSW added the film and interactive components in 1994, which now draw a crowd of approximately 32,000 each March. In recent years the interactive scene has become the perfect launching pad for startups. Fledging startups have the advantage of huge numbers of attendees (last year 20,000 digital creatives attended the festival) and access to ideal users—early adopters, those that are willing to share new technologies with their friends, and integrate new media into their daily routine. SXSW provides startups a chance for exposure, buzz, and most importantly, a chance for immediate growth. Twitter was founded nine months prior to its debut at SXSW 2007, with its users in the thousands. The founders realized that all of their users were going to Austin for the festival and they decided to take advantage of the emerging critical mass. In response to the question posted on Quora, “What is the process involved in launching a start-up at SXSW?” Twitter co-founder Evan Williams said they capitalized on two factors, first, they advertised away from the trade show floor (and the massive crowds), and put flat panel screens in the hallways because they knew that’s where the action would be. Secondly, they created an event-specific feature, where festival-goers could text to “join SXSW,” and they would show up on the screens. Williams said, “I don’t know what was the most important factor, but networks are all about critical mass, so doubling on the momentum seemed like a good idea. And something clicked.” Five years, and 200 million users later, Twitter has become the social media app for real-time info on all the people, causes, and news you care about. Foursquare, the social app that lets you “check in” wherever you go, keep tabs on your friends’ locations, and find new deals from retailers near you, launched at SXSW in 2009. Within four days of the launch they gained 5,000 users. Now, three years later, their user base is around 22 million. This year’s new interactive feature, Startup Village is the hub for all things entrepreneurial. It hosts panels like the “Bootstrapping Meet Up,” for brainstorming and networking, and “Co-founder Speed Dating.” Dreamit Ventures, one of the speed dating sponsors says, “It’s hard to find a co-founder for your startup. Tell us what you are looking for and we will play the matchmaker. In just an hour, you’ll meet a dozen potential co-founders hand-picked for you.” Navigating relationships in the tech-world just got easier. Of the social apps to watch this year at SXSW, many are based on the idea of social and location-based discovery, much like Twitter and Foursquare. Highlight, one buzzed about newcomer, tracks your location and notifies you when people are nearby. You can “highlight”—save and bookmark—people you meet who you are think are interesting. These highlights are public, others can see who you highlight, and the action acts as a nod to those you deem “highlight” worthy. You learn information about people, like who your mutual connections are and how many things you have in common, as you pass them in real time. Creepy or cool? We’ll have to wait and see. Check out highlight here. Warning: Their logo has been known to cause severe bad-design backlash.